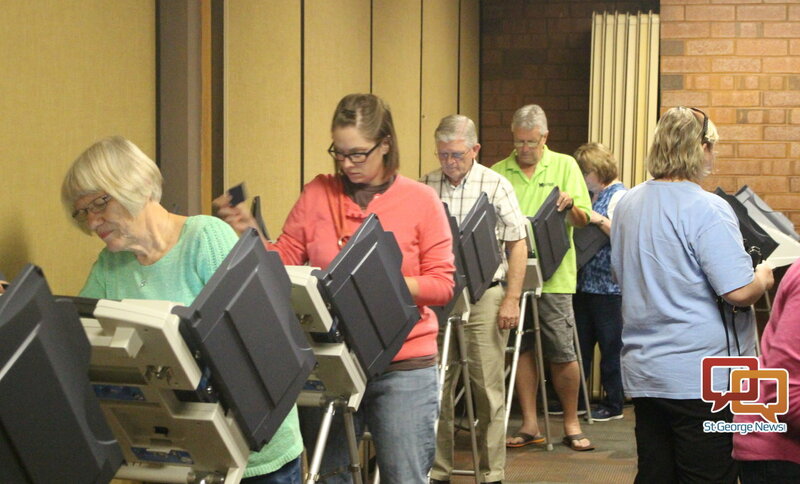 ST. GEORGE – Questions of legalizing medical marijuana, expanding Medicaid, redistricting and refining signature gathering for elections may be put to the voters in November. Each of these items is the subject of a ballot initiative required by the state to gather 113,000 verified signatures from across 26 of Utah’s 29 Senate districts to get on the November ballot. Monday was the deadline to turn in signatures to the Lieutenant Governor’s Office. Among the more popular initiatives is the legalization of medical marijuana. 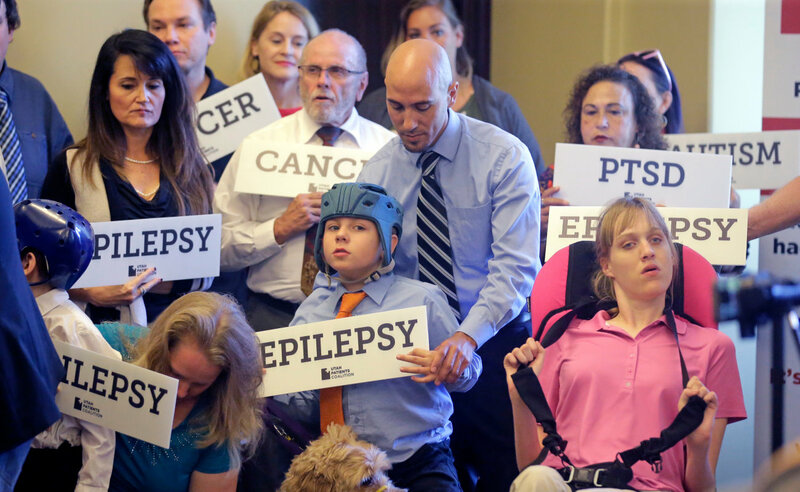 The Utah Patients Coalition, the group behind the initiative, claims it submitted around 200,000 signatures to the state. A recent poll shows 77 percent of Utahns support legalizing medical marijuana. However, opponents, including Gov. Gary Herbert and the Utah Medical Association, claim the initiative is too broad in its application and may ultimately clear the way for the legalization of recreational marijuana. The UMA also claims that supporters of the ballot initiative are misleading the public. Leaders of The Church of Jesus Christ of Latter-day Saints last week stated their support for the Utah Medical Association’s position. However, supporters of the initiative say they are confident it will make it to the ballot in November and that Utahns will vote for it. Organizers of Better Boundaries, an initiative pushing for the creation of an independent redistricting commission to prevent gerrymandering, claim to have garnered around 190,000 signatures. Drawing the boundaries for Utah’s congressional, legislative and state school board districts is handled by the Legislature, which has led to accusations of gerrymandering in the past. The organizers behind the renewed Count My Vote ballot initiative reported they gathered 175,000 signatures. The initiative was originally launched in 2013 and sought to do away with the caucus-convention system entirely and replace it with a direct primary. Candidates would qualify for the primary by gathering a set number of signatures. However, backers of the initiative and the Legislature struck a deal during the 2014 legislative session that preserved the caucus-convention system while also implementing the signature-gathering system as an alternative. The election law that came out of the compromise is generally known as the SB 54. Factions of the Utah Republican Party have been trying to get SB 54 repealed ever since, which triggered a relaunch of the Count My Vote Initiative in 2017. While the relaunched initiative keeps the caucus-convention system in place, it seeks to ease state requirements on how many signatures a candidate must gather to qualify for the ballot. Keep My Voice, an initiative opposed to Count My Vote, did not submit signatures. Instead, those behind the initiative plan to relaunch it in 2020. Utah Decides Healthcare, the group behind a ballot initiative that pushes for full Medicaid expansion in the state, said it collected 165,000 signatures. An estimated 150,000 low-income adults would be covered under the Medicaid expansion who currently aren’t covered under the state. Herbert signed a bill in March expanding Medicaid to cover individuals who are at 100 percent of the federal poverty level. The ballot initiative seeking full expansion would cover up to 138 percent of the federal poverty level. While organizers of the Our School’s Now initiative reported they had gathered around 150,000 signatures, they withdrew the initiative Monday after reaching a compromise with lawmakers. The initiative sought to add $700 million to the state’s public education funding through increases in sales and income taxes. Under the compromise, Utahns can vote on a 10 cents per gallon gas tax hike to help fund schools as a part of other measures anticipated to generated up to $385 million in education funding over the next five years. Signatures gathered by the initiatives must be verified by county clerks, as well as the Lieutenant Governor’s Office. The deadline for verifying the signatures is May 15. Yes we should vote on it, vis-à-vis our election system which, as we have known since baby Bush stole the presidency in 2000; has the integrity of a 90s wallet condom. But the good news is that the Mormon church- being another freemason corporation- is incredibly elastic under pressure and will eventually conform. I paid 2.99/gallon yesterday. Absolutely disgusting. Highest I’ve seen it since Bush 2. Utah needs to implement a Utah Lotto to help fund schools. A tax on gas as proposed is a regressive tax that will hurt people mid-level earners and below. Other states who have implemented lottos find it a real help with education. No more tax, the new tax system is hard enough and Utah needs to manage with its current tax and keep balanced like we the people at home have to do. Discourage entitlements – entitlements are the biggest addiction in this country. Expanding Medicaid only creates a larger margin of misuse to monitor and eventually, increased taxation. Medical Marijuana is a good alternative to help people who need relief when other more expensive medication doesn’t work. Another plus, it is shown to be a great alternative to opiates that cause the overdoses, addiction, and other problems we are seeing. I believe big pharmacy is what is blocking medical marijuana along with the dictation by LDS in UT. It’s important for people to sign petitions that encourage the progression for we the people’s voices and votes to be counted. I don’t get it. Put it to a “Vote” ? I’m originally from California and voting there never really mattered. Whenever the “voters” voted something down, the so-called lawmakers did what they wanted anyway. For instance, all the gas tax hikes we voted on 20+ times over the years. NEVER was a gas tax hike EVER approved by the voters…….And yet, NEVER did the lawmakers EVER listen to the voters. They jacked up gas tax anyway. They always promised the money was going to go to infrastructure, road repairs, etc, etc, but SUPRISE !!! it always went somewhere else…..usually into the general fund for salary increases and such. Something has to change, and this is a start. The legislature has not represented Utah citizens well for quite a while now. All political decisions were pre ordained in the local church meetings….er….Republican caucuses. And most years, the most interesting bills in the legislature remain ignored until the LDS Church makes some sort of statement, at which point the matter is settled. People are moving here in large numbers. The home grown youth are abandoning the church en masse, and it’s long last time for all those folks to have a voice.